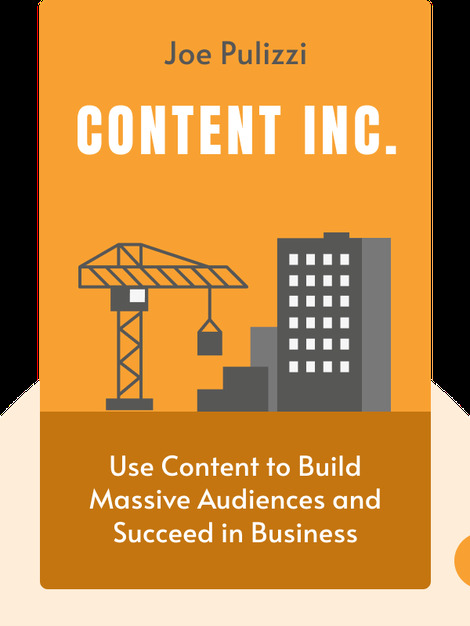 Content, Inc. (2015) is a useful and practical guide on how to use content management to market your business, attract an audience and bring your ideas to the world. These blinks are packed with tips and tricks that will help you turn that audience into loyal subscribers and allow you to diversify your brand and move to the forefront of your industry. Joe Pulizzi is a leader in the content-marketing movement and the founder of the Content Marketing Institute. 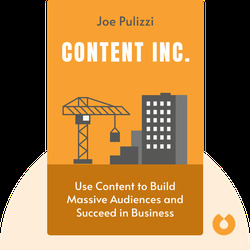 His other books include Epic Content Marketing, which Fortune magazine named one the “Five Must Read Business Books of the Year.” In 2014, Pulizzi received the John Caldwell Lifetime Achievement Award from the Content Council.